YSL Rouge Volupte Lipstick (Left) transformed into a ring (Right). What you'll need to complete this project: empty or depotted YSL lipstick tube, and a pair of pliers large enough to grip around the lipstick tube. 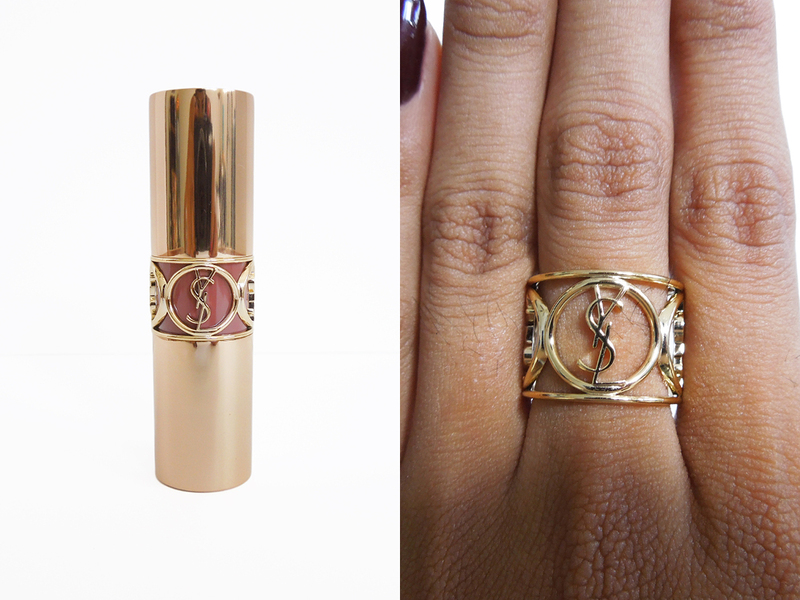 Step 1: After taking off the cap of the lipstick, grip the ridge of the tube right above the YSL logo area. Be sure not to clamp down too tightly, otherwise the metal tube will get stuck and will be more difficult to remove. Step 2: Pull the tube off and away from the base of the lipstick, thereby removing it completely. 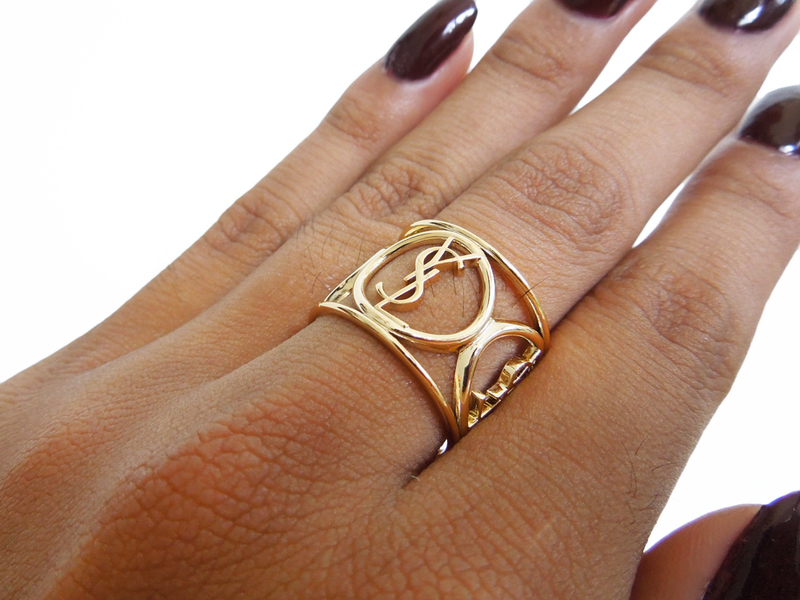 This piece can be discarded, so it wouldn't get in the way of removing the ring. Step 3: The central unit with the ring and lipstick color piece will slide right off the tube. The base piece will no longer be needed, so it can be discarded afterwards. 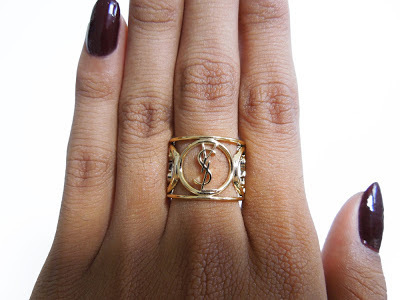 Step 4: The gold YSL ring easily slides off the colored piece giving you the final product, ready to wear. The YSL piece can be worn as a ring, and fits roughly a ring size 8, though can also be worn strung on a chain as a necklace pendant. Now that's how you get a 'bang' out of your buck!! I love it!! I knew I wanted to do that with my YSL lipstick, but didn't know how! Thank you!! I got so excited but then I heard "ring size 8"... too big even for my thumbs... Guess I'd have to buy a gold chain.